If you've ever been in a relationship that was damaged beyond repair, then you know that sometimes it's just hard to forgive and forget. Just the thought or presence of the one who's hurt you almost always brings back those unforgettable memories that broke your heart and created mad hate. 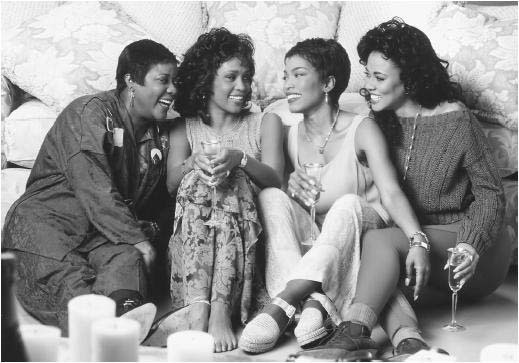 “Getting To Happy” is the sequel to McMillan's 1992 blockbuster “Waiting to Exhale.” In this sequal McMillan revisits Savannah, Gloria, Robin and Bernadine, the four African-American friends who starred in the film. Fifteen years have passed, bringing heartbreak but also joy to the quartet still living, loving and laughing in Arizona. In the following video, McMillan shows that she's not really a great public speaker, but it sounds like her book is a must read, especially for those who have a hard time just letting things go. Getting To Happy is currently being pre-ordered on Amazon.com with a scheduled ship date set for September 7, 2010.